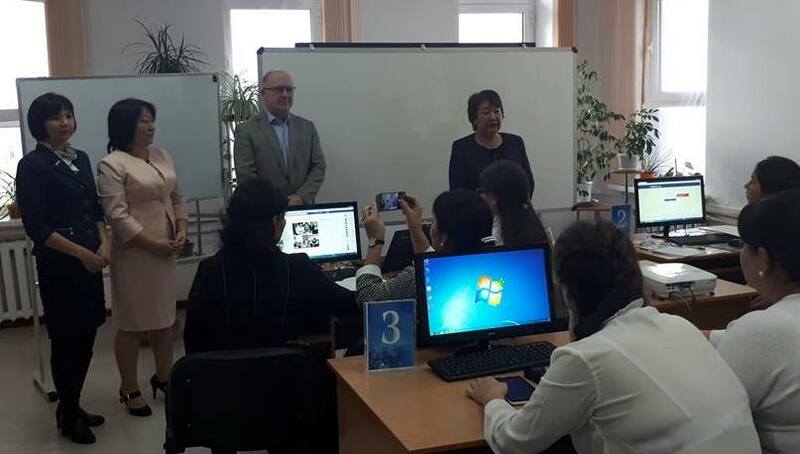 Media and Information Literacy Workshop for Community multimedia centers of the Syr Darya River basin organized in Kyzylorda city from 9 to 11 November 2017, organized by UNESCO Almaty, in cooperation with IREX Europe and assistance of Minber Foundation from Kazakhstan. In the evolving knowledge societies of today, some people are overloaded with information, others are starved for information. This inequality is especially evident in comparing the level of access to information of rural and urban communities. Its overcoming is entrusted to the UN Sustainable Development Goal 10. In this regard Media and Information Literacy recognizes the primary role of information and media in our everyday lives. It lies at the core of freedom of expression and information - since it empowers citizens to understand the functions of media and other information providers, to critically evaluate their content, and to make informed decisions as users and producer of information and media content. 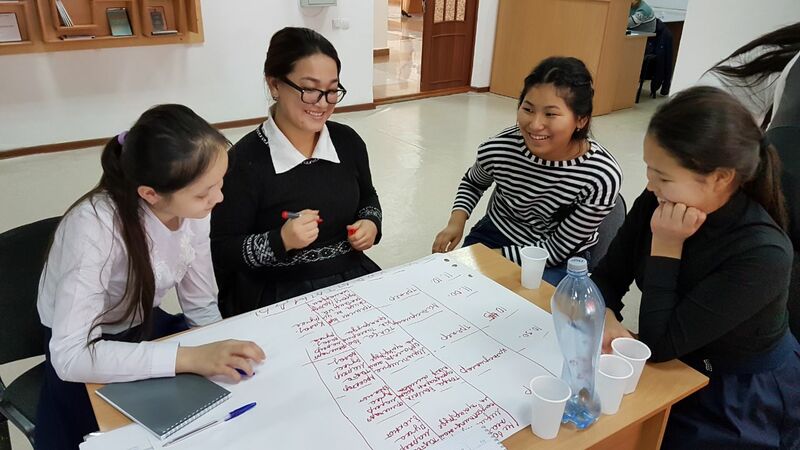 UNESCO invites 30 youth volunteers and librarians of the following community multimedia centres: Akkum, Madeniet, Sulutobe, Enbekshi, Temenaryk, Sekseuil, Zhaksykylysh, Zhankozha, Zhanakorgan, Zhosaly, Orkendeu, Inkardariya, Akzharma, Toretam, III International and Aral. 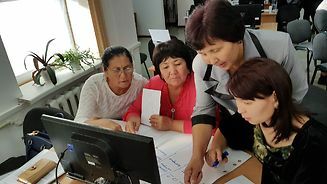 Feature of the seminar in the participation of IREX Europe prepared training materials and modules aimed to train local information producers with the pragmatic approach to assessment of external information flows. The partners will work together with the Minber Fund who will translate modules into Kazakh and connect their own rich and contextualized experience. 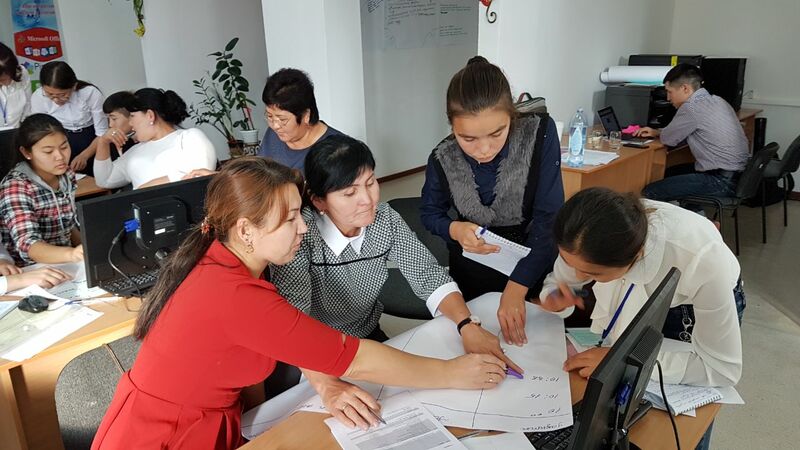 Before the workshop on 7-8 November 2017, UNESCO Almaty organized the mission to the villages located in the Syr Darya river basin of Kyzylorda region, to study local communities needs in terms of Media and Information Literacy and institutional capacities. Workshop is organized under Kyzylorda UN joint programme in cooperation with the Government of the Republic of Kazakhstan, the Ministry of regional development of the Republic of Kazakhstan, Akimat of Kyzylorda oblast and six organizations of the UN system – UNESCO, UNDP, UNICEF, UNFPA, WHO and UN Women to enhance well-being and quality of life in the Kyzylorda region through innovative approaches by delivering economic, social and environmental services to local population, particularly the most vulnerable parts of the population.